Whether you're a student, a business professional, or a member of an organization—the odds are good that at some point you'll be asked to make a presentation. You may even need to create a presentation for online viewing. Whatever the need...when the time comes for you to make a presentation, you'll want to use the best presentation software that fits your needs and your budget. Microsoft's PowerPoint is one of the most popular presentation software packages available. And it does do a very good job. If you decide to use PowerPoint to create your presentation. However, PowerPoint is not the only professional presentation tool out there in 2017. There are many PowerPoint alternatives available if you need to make a presentation. Most people who create presentations aren't aware of the other options. But many are quite good, so it's worth taking a careful look at various presentation programs available before you create your presentation. Some are even free. In this article, we've curated a collection of 16 of the best PowerPoint alternatives so you can make the best decision for your needs. Let's start by looking at some of the features to look for in a good presentation software package in 2017. Presentation software allows you to share information visually, usually through a slideshow. While presentations used to be shared primarily in person, today they are often published online and shared through the Internet. The scope of presentation software has expanded. In today's teamwork-oriented environment, real-time coordination is an important consideration for presentation software. Real-time collaboration allows team members to work together on the same document at the same time. The best presentation software packages incorporate tools for online sharing and collaboration. According to recent figures from Pew Research Center, over 75% of Americans own a smart phone. Likewise, figures from We Are Social put the usage of mobile devices worldwide at nearly 66%. Clearly, mobile devices are important in today's culture. To be most useful to today's user, a presentation software package should include mobile editing and sharing capabilities. Sound makes a difference. A good audio track can help users retain information and make your presentation more professional. The top presentation software packages allow users to incorporate sound into their presentation. Some packages even include a library of sound effects to add to your presentation. Presentation software users want options. Teams today may not all be working on the same equipment—yet they need to be able to work together on the same presentation using the same presentation software package flexibly. If you frequently work on your presentations with a team, you need presentation software that can accommodate a Mac or PC environment. Animation effects are a good way to spice up your presentation. There are many uses for animations in presentations, including adding interest to the transitions between slides, or allowing you to add details to a slide as you discuss it. 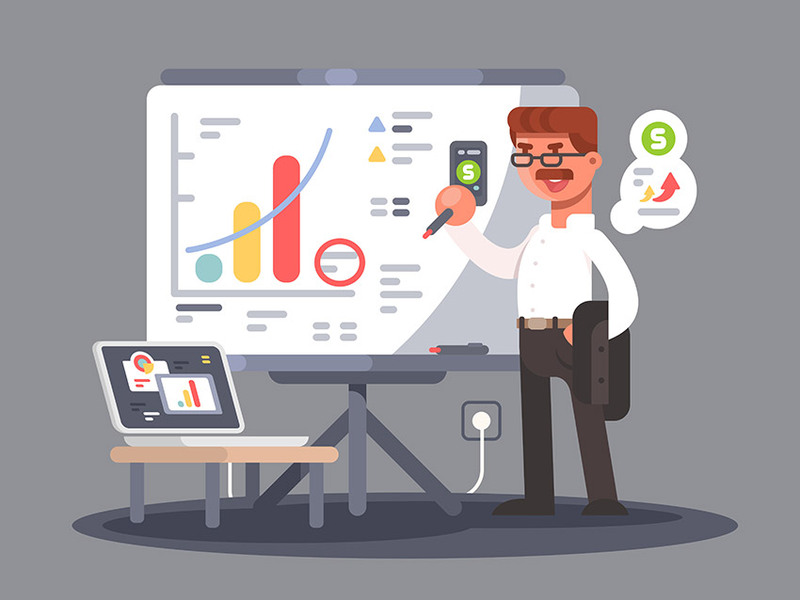 Effective use of animation during a presentation can help your presentations points stand out, pace your delivery, and make a more engaging impression on your audience. Because there are a wide variety of presentation software program packages available, if you do a lot of work with presentations chances are that you will need to import a presentation from another package. Also, you may need to export a presentation for another user. The ability to import or export your presentation as needed can be an important consideration when it comes to choosing the best tool to create your software presentation with. Online editing tools allow for collaboration. Online publishing tools allow you to share your presentation on the Web. If you will be collaborating online or publishing your presentation to the Internet, make sure you choose a presentation software program that allows for online sharing. Strong technical support is important for nearly all software packages, and presentation software packages are no different. If you're new to creating presentations or if you work with a team that has varying levels of expertise, be sure to select a presentation software option that offers strong technical support. Using a professional template for your presentation can save you hours of time. It can also help to create a more effective presentation. Google Slides is one of the most popular presentation software alternatives to PowerPoint in 2017. Currently, it's available when you sign up for a Google Account as part of Google Dive. The sheer number of potential Google Slides users is enormous—anyone with a Google account can access basic Google Slides features at no cost. 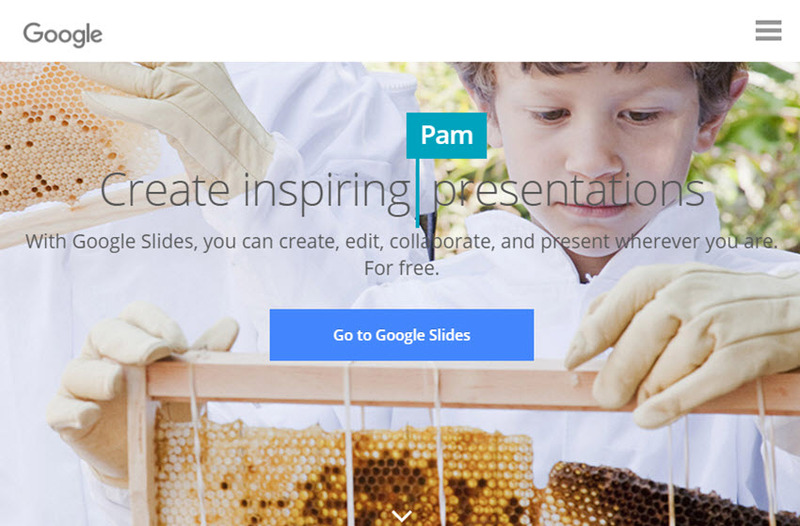 Online sharing is one of the strengths of Google Slides since it is a cloud-based tool. You can easily use it for real-time collaboration or to publish a slideshow on the Internet. It also works on a PC, a Mac, or even a mobile device as long as an Internet connection is available. 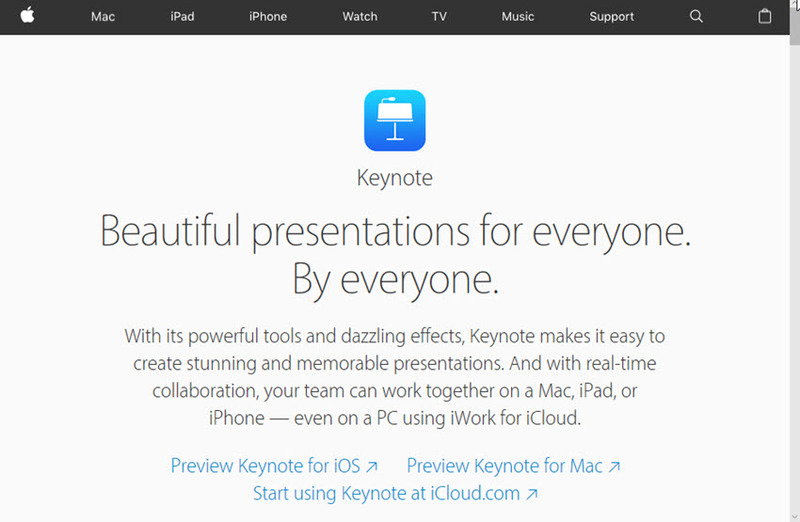 Apple's Keynote is another very popular presentation package designed to work with a Mac, iPad, or iPhone. It's part of Apple's iWork productivity suite. It can also be used on a PC through iWork for iCloud. It includes real-time collaboration capabilities to make teamwork easier. One interesting feature is Magic Move transitions. The Magic Move transitions feature lets you visually move featured images. This is just one of the many Keynote effects you can apply. Popular PowerPoint alternative for 2017, Prezi, views themselves as a presentation resource. Instead of using slides, you use a canvas to create your presentation. It's non-linear, so you can see the entire presentation at once or zoom into specific parts. The non-linear approach makes it ideal for less formal, conversational presentations. 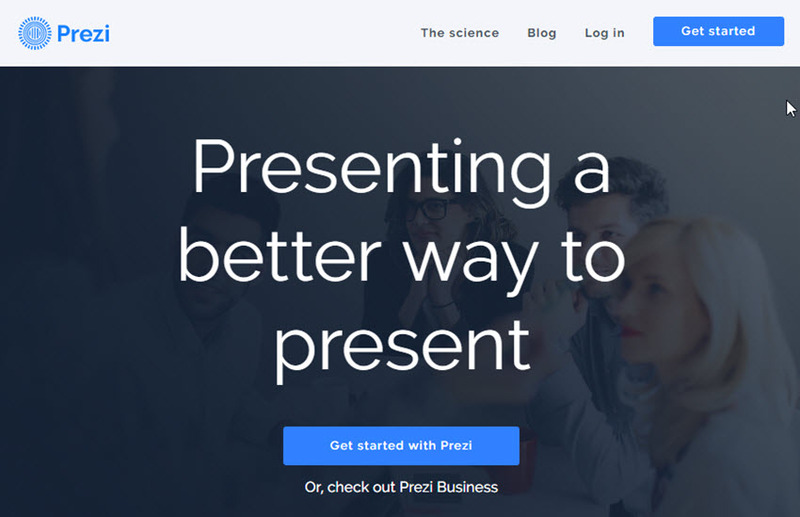 Like many other presentation software packages, you can use Prezi on any platform. You can also collaborate online and publish to the web. Zoho Show is part of the Zoho Workplace, which also includes: Mail, Chat, Connect, Docs, Writer, Sheet, Sites, and Showtime. 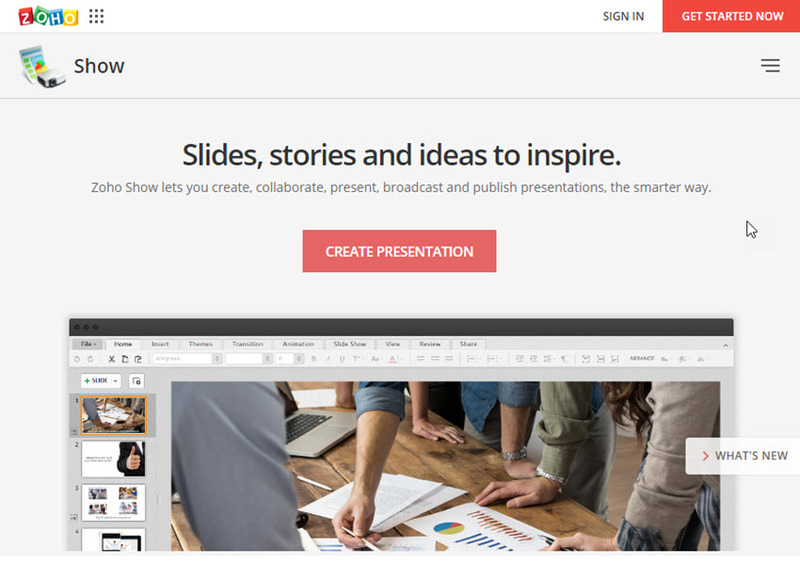 Use Zoho show online for creating, editing, or sharing a professional presentation. Zoho show supports real-time collaboration. You can also publish to the web. It also has mobile capabilities that work when you are offline and synch to your Zoho cloud when you go online again. PowToon specializes in creating animated presentations and short videos. 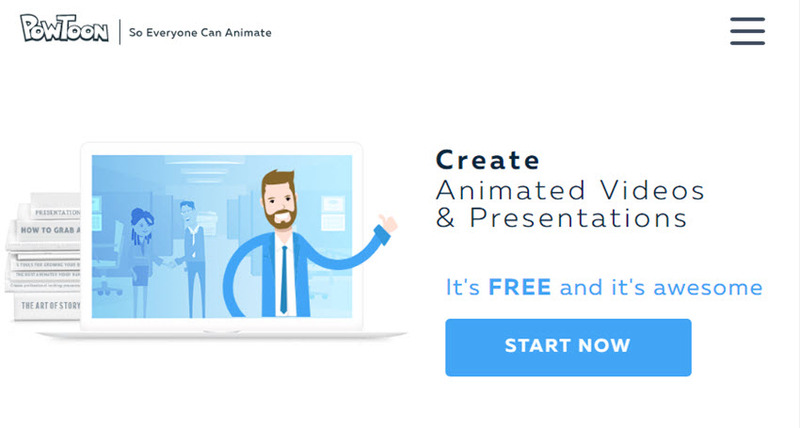 Collaborate with others to create your own animated presentation. You can also use the tool to create animated charts and graphs. Take advantage of their library of royalty free music and royalty free styles. Their templates are "drag and drop" for ease of use. Special pricing is available for students and for classroom use. 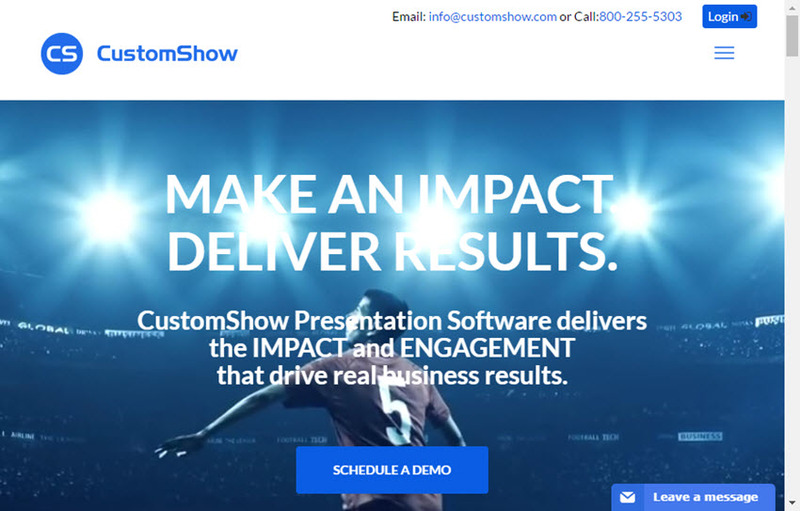 CustomShow is designed for B2B sales and marketing presentations. 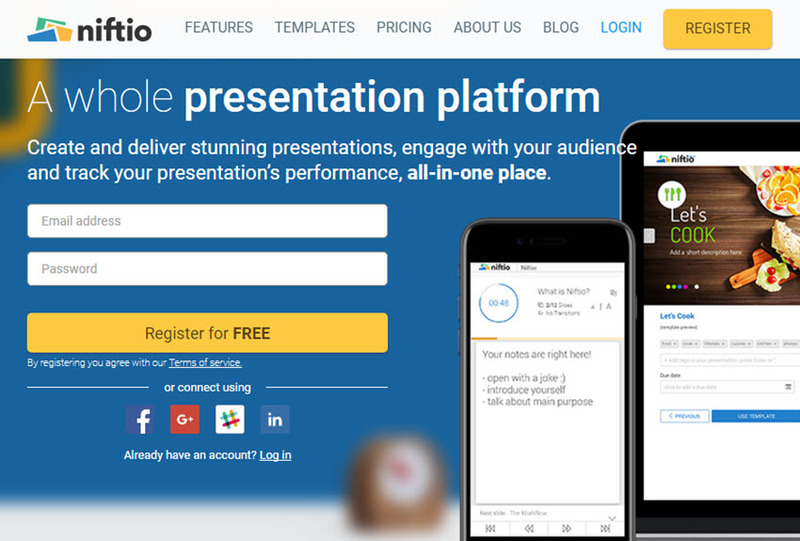 It's a cloud-based app that lets you create and deliver presentations online using a wide variety of platforms using real-time collaboration. It allows you to build a slide library that your sales team can customize as needed. A feature that marketing professionals will appreciate is the integration with Salesforce. 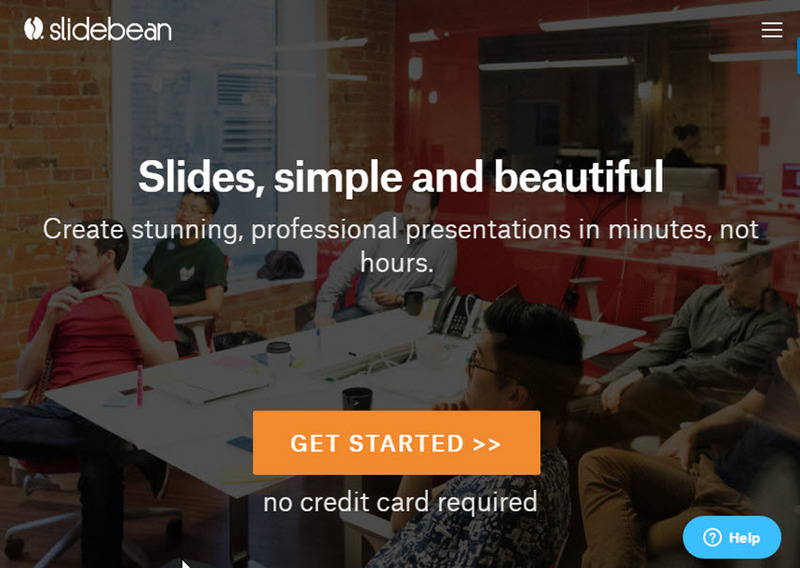 Slidebean is another marketing presentation tool. One extra that this presentation software offers in 2017 is the opportunity to consult with their designers to get advice and tips for premium users. Premium users are assigned a dedicated support agent to answer questions. Slidebean also has tools to let you track who is viewing your presentations and determine how engaged they are. 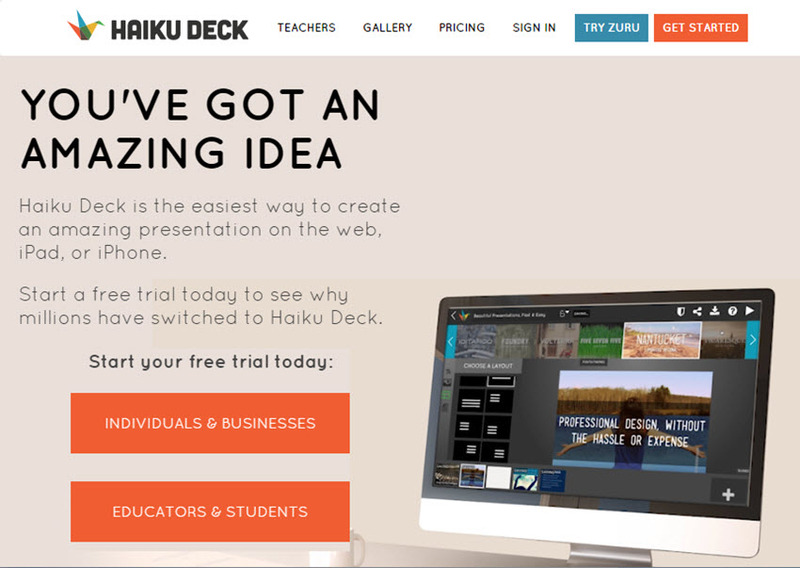 Haiku Deck was created to make it easy to create an online presentation in 2017. They have thousands of templates. It makes use of images licensed under Creative Commons and automatically provides attribution. Use it with an iPad or iPad mini. The web app is compatible with current versions of Chrome, Safari, and Firefox. Users can also upload PowerPoint or Keynote presentation files. Currently, a discount is available for educators and students. 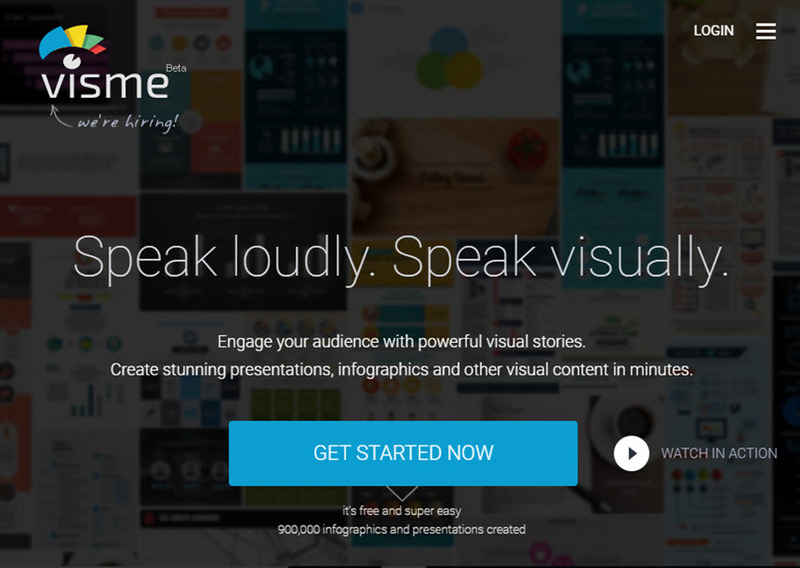 Not only can you use Visme to create presentations, you can use it to create other types of visual content as well—including: infographics, reports, wireframes, and more. Share your presentations online or download to present offline. The tool includes the ability to animate objects, add links, pop-ups, and transitions. Discounts are available for students and teachers as well as for non-profits. This presentation tool allows you to combine a variety of media types into a presentation. 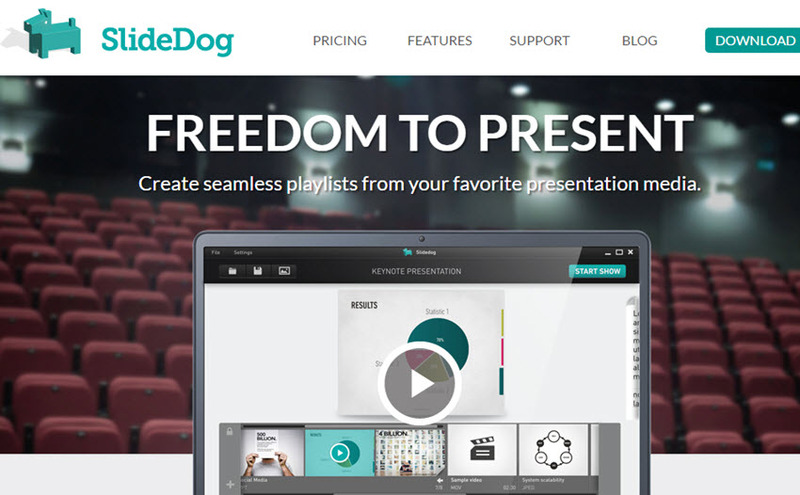 SlideDog supports a wide variety of file types, including: PowerPoint, PDF files, Prezi, Video (including YouTube), image files, web pages, Microsoft Word files, and Excel files. This is a good option if your presentations draw upon materials from many sources. This tool supports live sharing and interactive audience polls. 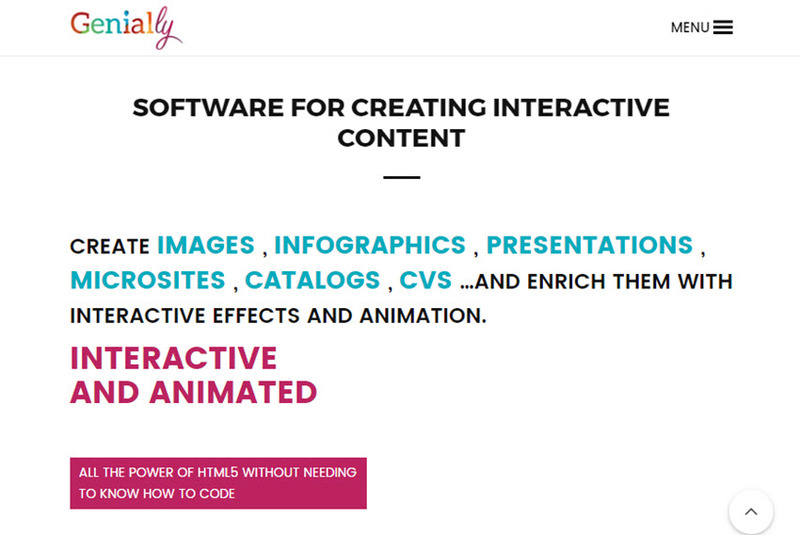 Genially is a helpful tool for creating visual media, such as presentations, infographics, mind maps, and more. The focus with Genially is interactivity, and nearly everything created with this tool can include interactivity. It also includes real-time collaboration and animation. In addition, statistics help you measure whether your presentation is effective. 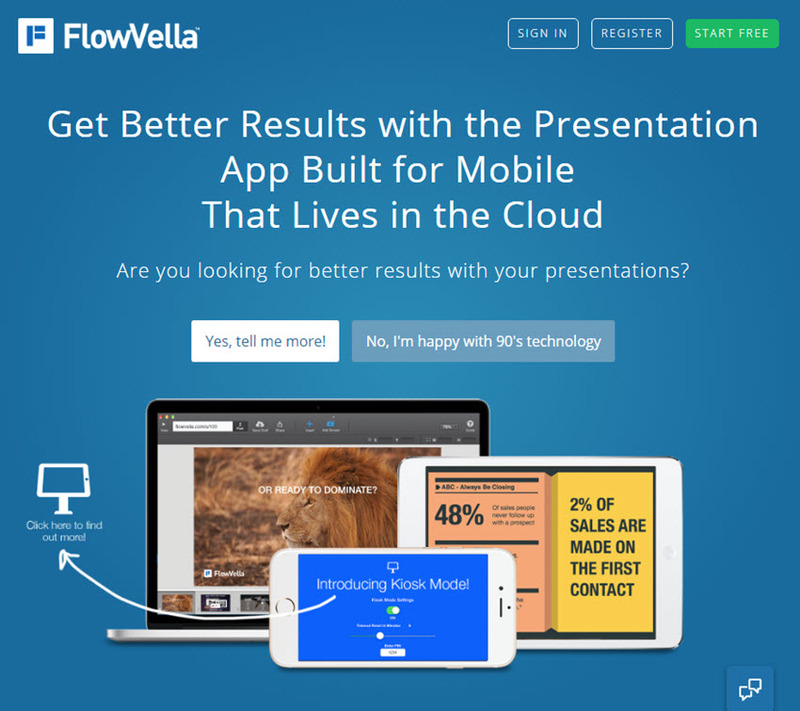 Another good cloud-based presentation software app for the mobile world is FlowVella. It works for the iPhone, iPad, or Mac. You can also use it offline. It includes analytic tools that let you know the details about how your presentation was seen. Use it in Kiosk mode for secure digital displays. There are also special teacher rates. 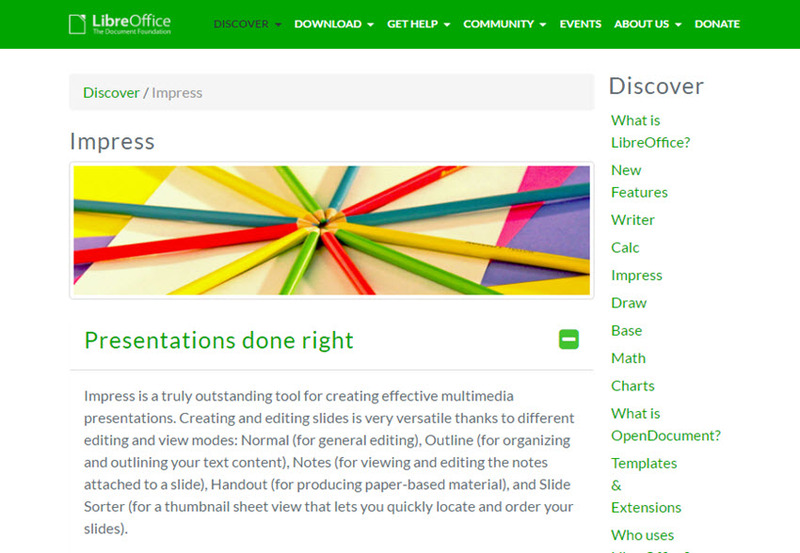 LibreOffice Impress is part of the LibreOffice software suite. It is open-source software, developed and maintained by users as a project of the not-for-profit group, The Document Foundation. Impress features feel standard to users who are familiar with other popular presentation software tools. Unfortunately though, it doesn't yet include some of the more recent presentation innovations you would expect in 2017, such as live sharing or online collaborations. PowerPoint alternative emaze is easy to learn to use. It's an online browser-based presentation building app that lets you use a variety of tools to create professional presentations. It runs on a wide variety of browsers on a Mac or PC. It can also operate with smart phones. Special effects include 3D Zoom and video backgrounds. Discount rates are available for students, educators, and non-profits. 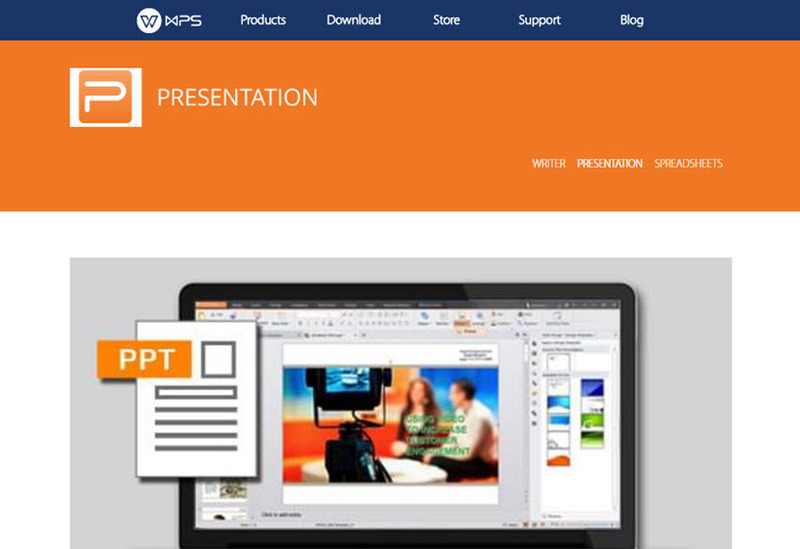 WPS Presentation is part of the WPS office suite, which also includes Writer and Spreadsheets. It's compatible with PowerPoint and has similar tools. It does include some good animation features as well as font resources. When collaborating, leave comments for other users to review later. Current 2017 versions are available for iOS, Android, Windows, and Linux. Niftio is a relatively new presentation software that is still in Beta testing. It includes a wide variety of presentation tools including access to a large library of images (over 4000). Choose between a variety of special effects and transition types. The Smart Pointer features allow you to use any device to play your presentation while letting you see your notes and timeline. At one point or another, most of us will wind up using professional presentation software. For many, that means relying on PowerPoint. While PowerPoint may be a good choice, if you need a program for making presentations you should be aware that there are other good options available in 2017.